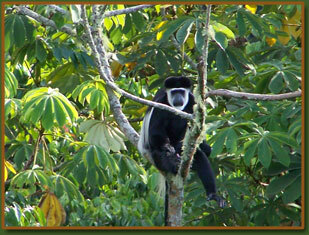 Primates Near BwindiCuckooland Tented Lodge. 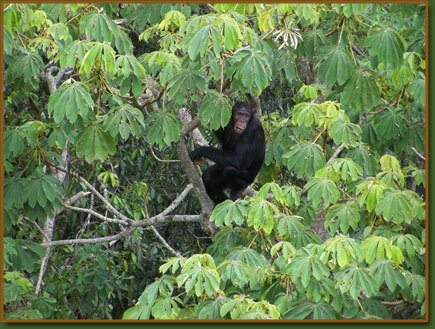 Gorillas have occasionally visited the site, you may be lucky enough to be there at the right time. 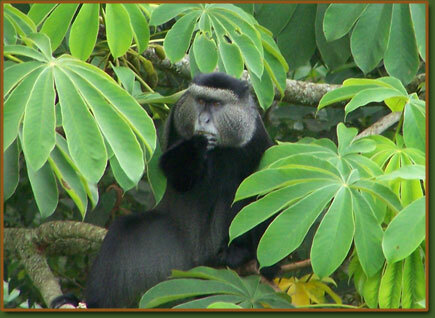 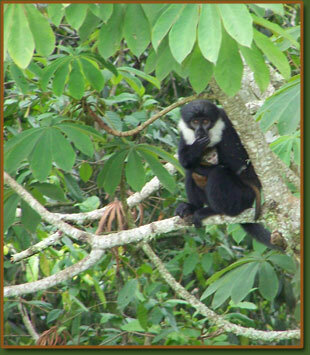 However, far more regular Primates visiting the site are chimpanzees, black and white Colobus, blue, red-tailed and l’Hoest’s monkeys, and baboons, many of which can be seen on a daily basis.